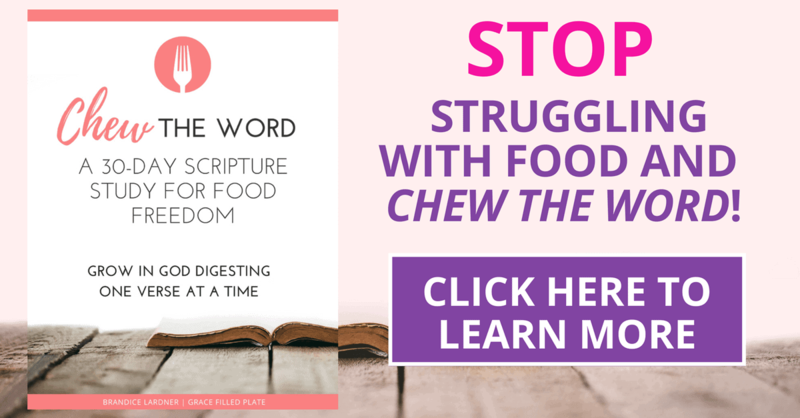 If you dread the idea of not eating for days on end but you long to honor God’s admonition to fast, this post will show you a method of fasting made easy. As I sat on the bathroom floor, my stomach churning with empty threats, I had to ask myself- “Is it really that bad?”. You see, I had chosen to participate in a 3-day church-wide fast and the sudden switch to water only was not agreeing with my body. No doubt there are people dealing with problems much worse than a temporary leave from food. I felt weak and relieved at the same time. After all, if I was unwell, I had an excuse to end the fast. Fasting, it is the topic that I would dread to hear mentioned in church. Yes, I was aware of great men and women of the Bible who practiced fasting and I knew the verses that shared about its power, but that encouragement to fast left me swimming in a sea of fear and condemnation. I longed to be obedient but I just couldn’t get there. Maybe that’s you or maybe you are comfortable with fasting and you’d like to learn how to reap the benefits of fasting in your daily life. If food is an area of testing for you, I think you are going to feel liberated and love this fasting that fits into your daily life! Throughout the Bible, we read of faithful men and women who fasted with prayer and purpose. Many of these individuals were faced with troublesome circumstances that left them weak in the knees. Moses fasted in despair because of the sin of the Israelites (Deuteronomy 9:9). David fasts, petitioning God to heal his child (2 Samuel 12:16-23). Nehemiah fasts and prays over Jerusalem, confessing sin on their behalf (Nehemiah 1:4). Saul fasted after his encounter with Jesus on the road to Damascus (Acts 9:9). The Holy Spirit led Jesus into the wilderness before He began His earthly ministry to be strengthened and tested (Matthew 4:1-11). Paul and Barnabus fasted as they appointed elders, committing them to God (Acts 14:23). Esther and her attendees fast before she appears before the king, pleading for the protection of her people (Esther 4:16). So, why would one purposefully deprive themselves of food? Well, it’s certainly not for fun! I don’t know about you but I like to be comfortable. For example, my bed has to be just so before I crawl in. If the air conditioning in the house is too hot or too cold, I fix it right away. If a glare shines in my eyes, I move. But, you and I, we do things that aren’t fun every single day- for a great purpose. Laundry, anyone? If we can catch a glimpse of the power behind pushing away our plates, we can uncover the desire to do the difficult. By denying ourselves, we set the stage for great things! In Isaiah, we see a synopsis on what makes fasting so fabulous. Fasting opens doors that are slammed shut. It lightens burdens. It breaks chains that refuse to be cut. If you have any stuckness in your life, a fast may be for you. What makes fasting so exceptionally effective? While I am no Biblical scholar, I do like to eat. Chances are that you do too. Food is woven into our days. From 3 square meals to holiday feasts, much of our lives revolve around what we eat. God made food delicious and He built our bodies with appetites that motivate us for necessary sustenance. Hunger, it begs to be answered. Not eating for the sake of not eating does nothing for us spiritually. But when denying ourselves is paired with an upward focus, we are unstoppable. To be spiritually effective, we must allow the “daily-ness” of food and the incessant drive to eat as cues to focus ourselves on communication with the Father. This place of humility found in self-denial puts us in the perfect position to recognize our dependence on God and to receive His grace-filled answers. This is why we can apply fasting to just about any area of our lives. For example, my pointer finger seems to have programmed itself to open up Facebook on my phone. I know that I meant to check the baby monitor but here I am, scrolling my newsfeed. When the magnetic force of social media is redirected to The Majestic, we’ve got a cue for constant communication. My history with fasting is far from great. In my teens, I skipped meals for the sake of the scale and then my feeble attempts at spiritual fasts were a failure. For many of us, not eating is scary. Maybe it’s because of our previous experience. Maybe it’s fear of the unknown. Regardless, we put our fingers in our ears and flee from its mention. If you are anything like me, you may find yourself feeling pretty lousy about that. If only I were just stronger? Why can’t I just do it? What is my problem? Ah, now the enemy would love for us to feel condemned about our shortcomings! If he can only put a wedge between us and God, he would consider himself successful. But, these condemning thoughts are NOT from God. Give Him the stress and anxiety. God sees your heart my friend, and if fasting is something you want to do but can’t quite seem to make it happen, the rest of this post is for you. Obviously, we know about fasting from food but what about fasting for (freedom from) food. Meaning, can you think of a better way to break chains around food than by fasting the very thing itself? While someone who struggles with shopping may fast the mall, those of us who find ourselves drawn to eat more than we need can draw the line in the sand by giving God some of those extra bites. By denying ourselves that which we may want the most, we are sending a clear message to our flesh and to our Father that we are serious about finding freedom and glorifying Him. “But”, you say, “fasting makes me want to run the other way!” I GET IT… keep reading. This is where I want to introduce fasting made easy into your daily life. I will preface this by saying that this practice is not intended to preempt Biblical fasting that is described as not eating for an extended period of time. This practice is meant to complement Biblical fasting or to be an entry point for those who would not do so otherwise. Folks like me! Fasting is about self-denial, doing something that you don’t naturally want to do for a greater purpose. This exclusion is uncomfortable and probably difficult; it keeps you on your knees and your toes at the same time. You talk to God more because there is a space and there is a need to do so. Our lives and our relationship with our Creator are molding for greatness in those moments. Now, think about your relationship with food. Are there certain types of foods or times of eating that trip you up? Take a moment and think of your Top 3. From that list, pick one. It may be the easiest or the most difficult, it doesn’t matter. If you tend to CONTROL your food intake, always choosing low-fat or low-carb options, so much so that it dominates your life- you may choose to fast that control and eat “normal” meals with your family. If you tend to snack on unhealthy food, consider fasting between meals and don’t eat between your scheduled meals. Or only eat from a plate. Is your afternoon slump leading to poor food choices? Fast your toughest hour and plan a nourishing meal or snack for afterward. Do you “have to” have your daily latte or soda? Swap it out or skip it. Is your after dinner dessert becoming a habit rather than a treat? Push through the desires to indulge and go to bed a little more empty. Have you thought of what and how you would like to fast? Before you proceed any further, let me encourage you to choose a fast that feels doable to you. Yes, it will be uncomfortable and no, you won’t want to do it but please choose something that is realistic. It is ok to start small. Once you conquer those humble beginnings, you can move into new territory. Keep in mind that this is about denying our flesh and about our relationship with God. Try to keep your motivations away from weight loss, as we both know how that particular goal tends to fizzle when things get tough. Determine the top 3 food habits that feel near and dear to your heart. Choose ONE habit to fast. Tweak the fast until if feels slightly difficult but still doable. Practice this fast, using the discomfort as a cue to communicate with and rely on God. Keep going until the fast starts to feel easy. Find more and more food freedom! As you can see, fasting doesn’t have to be dramatic to be effective and life-changing. When we look at those faithful followers who have gone before us, we can see the importance of denying our flesh for great things. And while a total fast can be scary, making the fast bite-size has its advantages in bringing the practice into our daily lives. By choosing the habit that has a hold on us, we can begin to slowly break the chains while finding our strength in the One who is Strength. Comment below and share what you plan to fast or if you need help finding a fast that feels just uncomfortable enough, I’d be happy to help! PLEASE NOTE: If you suffer from or have suffered from an eating disorder, please seek wise counsel before embarking on any type of fast. Prayerfully seek the Lord to find His direction about what He would like you to give up for His name’s sake. Maybe it’s your anxiety around food or thinking about what you are going to eat. Maybe it’s loosening the reigns a bit or eating something that you’ve considered “off limits” for a long time. For some, doing more may be more sacrificial than doing less. Whatever you do, do it with GRACE! I’ve found success in waiting for an hour after getting up in the morning before I eat or drink anything other than water. Then the same day the next week I go 2 hours and so on until I’m consuming only water the whole day. I like things broken down into bite-size pieces (pun intended) also! I love that approach! Each week you can gain more confidence in how you and God can work together. Thanks for sharing! Brandice, thanks for bringing this topic to the table! I’ve always struggled with the idea of fasting and dread the new year knowing our church will do a fast! Months before the new year I am already thinking about how come January I will have to make a decision about participating or not! I really appreciate your thoughts on taking small steps that fit into our daily lives as a way to participate and possibly work your way up to a multiple day fast from all food. It’s also validating to hear someone else verbalize how scary fasting can be when you have not always had the healthiest relationship with food! This is something that has felt isolating to me in the past and I don’t think is talked about enough within the church. But thanks so much for talking about it and bringing so much wisdom to the topic! I am so happy to hear that this article has given you some peace! Hopefully, this year you can find something that is /just/ difficult enough. And meaningful, but not so scary that it steals your peace and joy. That way we can be cheerful givers! Hi Brandice! Thanks for sharing your thoughts on how to achieve food freedom through fasting. I really enjoyed your honesty and authenticity about your own journey with fasting. I’ve been very interested in fasting but I don’t think I could complete a Daniel Fast at this time. Lately I’ve been really struggling with overindulging and eating more fast food and desserts than healthy foods. I’ve noticed that I have really low self-control and have a hard time restricting myself. Then when I do succumb to my craving I beat myself with my internal thoughts. I would really appreciate your help in finding a fast that would work for me. This just what I needed to hear and read. I struggle with fast all the time. I do want a closer relationship with God, but fasting has always been a struggle for me. Why I do know but it has been very hard. You are not alone, Maria! I think there is a reason why God chose fasting– it’s NOT easy and we need to rely ON HIM. Hopefully, this article has shown you some entry points that can allow you to benefit from fasting (that’s doable). I have extreme anxiety and actually diagnosed OCD around food. It’s weird because I’m concerned about it hurting my health but my brain just “shuts down” and gets too overwhelmed to decide what to eat, much less cook, so I end up eating a lot of fast food. Granted, I usually go for the chicken nuggets rather than a burger, but it’s still fast food. I want to do a fast from fast food for my church’s upcoming 21 days of prayer but I’m concerned about the preparation for it as I’m going to need something ready to go for when my brain shuts down and I want to run by McDonalds. Any tips? I am the type that can eat the same things over and over and over, so maybe I just need to start with one simple meal and move forward from there. It makes sense that you’d just settle on fast food. It’s simple and easy and it solves the issue (over-thinking and hunger). It sounds like God is moving on your heart in this area. First, prayerfully consider how much fast food you want to fast. It doesn’t have to be all-or-nothing. You could do your fast for a particular meal each day or certain days of the week. Just be sure to be clear, so there is no confusion that leads to overwhelm. My suggestion would be to sit down with a trusted person and list out some meal options. A great place to start is asking yourself what foods you really enjoy. It if is chicken nuggets, can you make a healthier version? Maybe it’s pizza and you do a healthy flatbread pizza (FlatOut flat bread, veggies, sauce, cheese, done!). Whatever it is, think of what you like most and stick with those. It will make it much easier to drive past the Mickey D’s. Then jot it down. Maybe you do a meal plan for the week or just take a moment the day before to create a loose mental plan. 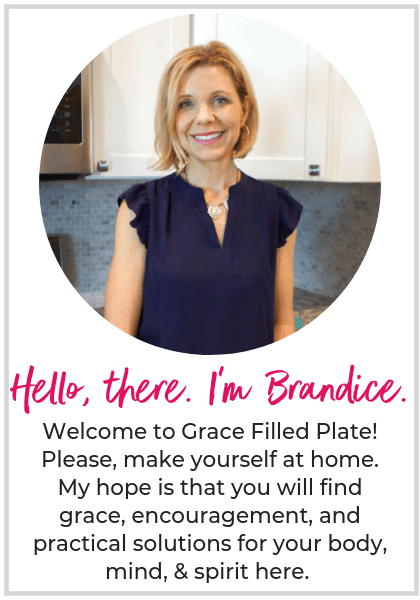 Thanks for writing this Brandice! My church also does a week of fasting and prayer at the beginning of each new year, and I would always make excuses as to why I can’t do it. I’m glad to know I’m not alone in that fear of fasting! This year, I did participate for the first time, in that I skipped lunch one day, and used that time to pray. So far, that’s the only fasting I’ve done is just skipping lunch occasionally. Hopefully I might work my way up to fasting breakfast AND lunch, but I don’t think I could ever fast all day or multiple days, since food affects how my prescription meds are absorbed. For me, the hardest thing (aside from the fast itself) is trying not to overeat at the next meal. I suppose that defeats the spiritual purpose of fasting, if I’m telling myself “just a few more hours until supper”, and then I eat more than usual at that meal. I think I need to focus more on the self-denial and reliance on God! And I really need to do a fast from dark chocolate! Hi Barbara! What a fantastic way to approach your fast! It’s not the length but our hearts. If one meal is a challenge- great! That’s a sacrifice that costs you. You’re right– how we think impacts how we act. If you are counting down the minutes it will be harder to slow down than if you were focused on the WHY. Can you extend your fast to the next meal by sticking to one moderate plate of food? Thank you so much for addressing this in the manner that you did. I have done full day fasting and while it’s supposed to draw you closer to God, all it did was draw me closer to my thoughts on food. I have a dear friend who fasts once a week and when I told her that I was going to fast something other than food, she was quick to point out that the point was to give up the food to show my devotion to God. I have been wanting to fast but all I can think of when I go to try is this narrow view of fasting. I look up to this woman spiritually so I figured I was in the wrong for not doing a full day, no food fast. I have never heard of fasting presented the way it has been done here. I am actually excited to fast! I know that I have to have my nightly dessert so I that will be the first thing I give up for a fast. I am eager to meet with the Lord and hear from him…to be able to get “unstuck” and move forward in some intense decisions I am having to make.